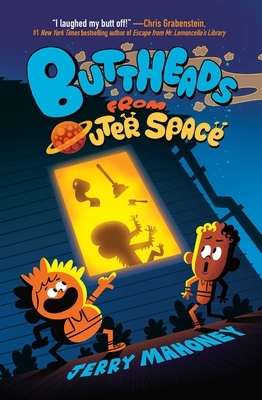 The buttheads have landed—and they're trying to wipe us out! We started a blog to invite aliens to come to Earth and hang out—but only with us. That way, they wouldn't have to meet any boring world leaders or get cut open by scientists or anything like that. We'd just chill out, eat junk food, and play video games together. Sweet, right? And it worked! Two aliens showed up one night in the bathroom of my favorite restaurant, and we snuck them home to my room.